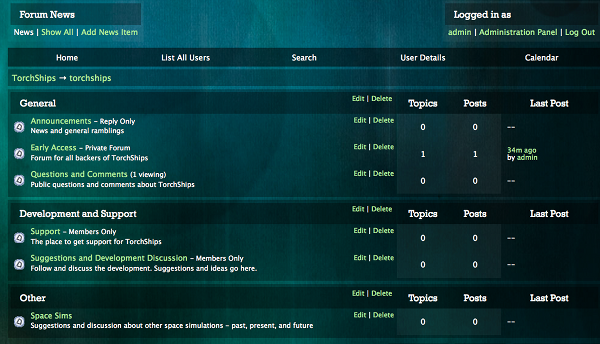 I’ve created a forum for TorchShips. This entry was posted in design, early access. Bookmark the permalink.